Leaders of Gerontocracy Prime Minister’s own ruling coalition parties oppose on the acceptance of PAC Chairman Ronald Kiandee, originally from UMNO, into his own party yesterday. Bersih has questioned Prime Minister Dr Mahathir Mohamad’s commitment to institutional reforms after the latter remarked that newly-minted Bersatu member Ronald Kiandee would continueto chair the Public Accounts Committee (PAC). When announcing Kiandee’s entry into the Pakatan Harapan component party yesterday, Mahathir had said that the coalition’s promise of an opposition-led PAC was a mere “policy” and not “institutionalised or part of the constitution”. He later said that Harapan had fulfilled its promise but did not expect the former Umno lawmaker to defect. Today, Bersih questioned if the prime minister would similarly renege on his other promises of institutional reforms because they, too, had not been “institutionalised”. “For the prime minister to say that because this promise was not institutionalised and, therefore, can be overridden raises more serious concerns about his commitment to structural institutional reforms. ‘Soon after taking power last year, the prime minister administratively released key institutions like the MACC, the Election Commission, Suhakam and the National Audit Department from the control of the Prime Minister’s Department. “Will he or future prime ministers reverse this move because their independence were not ‘institutionalised’?” it asked in a statement. The role of the PAC is to hold the government accountable by reviewing all public accounts as well as the auditor-general’s reports. It has the power to call ministers, heads of government and top civil servants to testify before it. 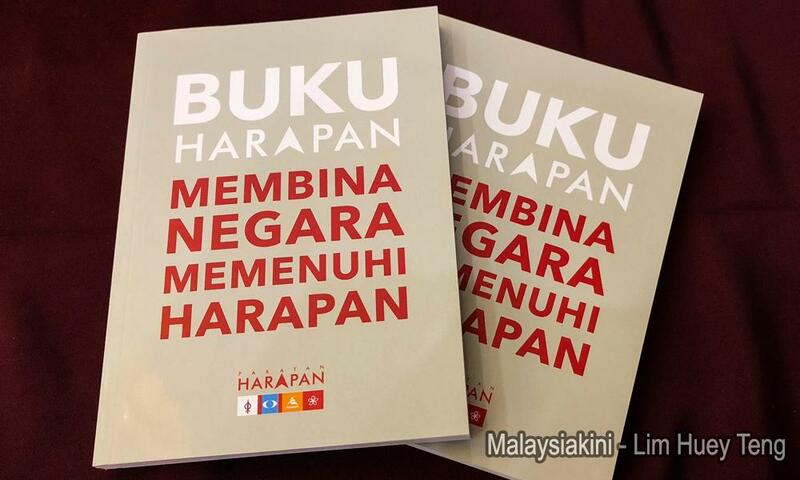 Harapan had promised in its pre-election manifesto that PAC would helmed by an opposition MP as part of its commitment to parliamentary reform. Bersih criticised Mahathir for “unilaterally” deciding on a “U-turn” and urged other politicians to reprimand him for undermining the PAC. “Backbench and opposition MPs should strongly condemn this move to undermine their role as a check and balance to the cabinet. “[…] If the prime minister does not reverse his decision to retain Kiandee as PAC chair, then not only is the credibility of the Harapan government at stake but the dignity of Parliament as well,” it said. In light of this, the electoral reform NGO urged Harapan to amend laws to set in place the institutional reforms it promised. “Bersih calls on the prime minister and the Harapan government to honour all their manifesto promises and immediately amend legislations in order to institutionalise the independence of these key public institutions. “(By so doing it) they can effectively guard against abuses by the executive and protect public interests,” it said. 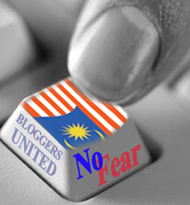 Harapan MPs Hannah Yeoh and Nurul Izzah Anwar made similar callsyesterday. Deputy Women, Family and Community Development Minister Yeoh urged Parliament to amend the Standing Order to make it compulsory for the PAC to be led by an opposition MP. Nurul Izzah, a PAC member herself, said she would remind Dewan Rakyat speaker Mohamad Ariff Md Yusof to institutionalise reforms for the PAC. This is clearly in breach of the principles laid out for Pakatan Harapan. It is abundantly clear that he in the exercise of increasing the number of MPs of his own party with the ‘reverse take over’ (RTO). Originally his own party PPBM was the coalition partner with the least number of MPs in the Pakatan Harapan upon successfully establishing the Federal Government after the 14GE on 9 May 2019. The media if not the public, should remind Gerontocracy Prime Minister on what he said ten months ago of not accepting leaders crossing over from BN.